Smear test equipment. 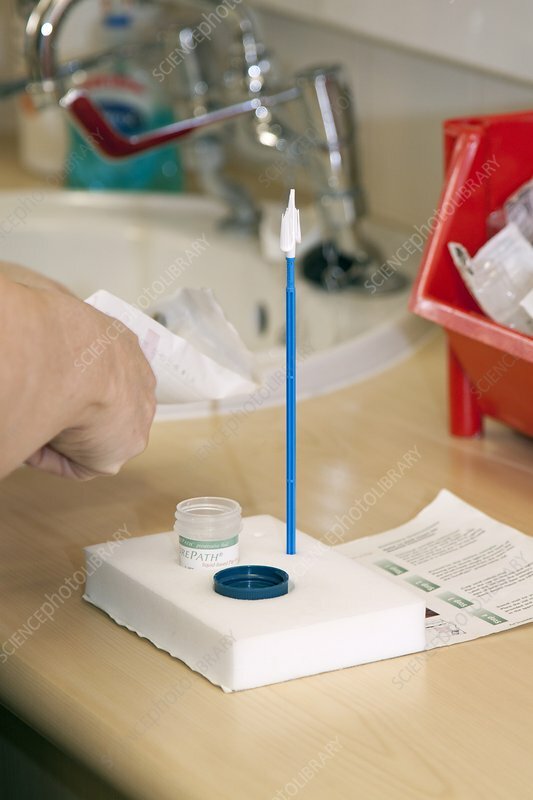 Cytobrush and container of smear test preservation solution ready to be used. The cytobrush is used to take a sample of cells from a patient's cervix (neck of the womb). The sample is then placed in a preservative solution and sent to a laboratory for examination. Abnormal cells may indicate cervical disease or cancer. Previously samples were spread straight on to a slide, but this method returns fewer contaminated or incorrect results. Cervical cancer is usually curable when detected early.